We got talking at the office about how long can one last without sleep. Well, we are a mattress company and even our mundane discussions are around sleep. So, while discussing about surviving without sleep, we came across the following sleep facts and put together this article. Our moms have nagged us all through our childhood, “it’s time for bed”! But was it just her way to get some “me-time” or does it have any real benefits? -And, Recharge the internal organs. This made us more curious! Will someone be really affected if they did not sleep for enough hours? How long can a person stay without sleep? And does it affect a person’s health or well-being? The world record for staying longest without sleep is held by Randy Gardner. In 1964, Gardner, a teenager then, stayed awake for 264.4 hours. Records have been set after him, but the Guinness book does not accept entries for this category anymore, because of the adverse effects it can have on one’s health. Warning – Do not try this at home! These stunts are performed by trained professionals or under supervision. 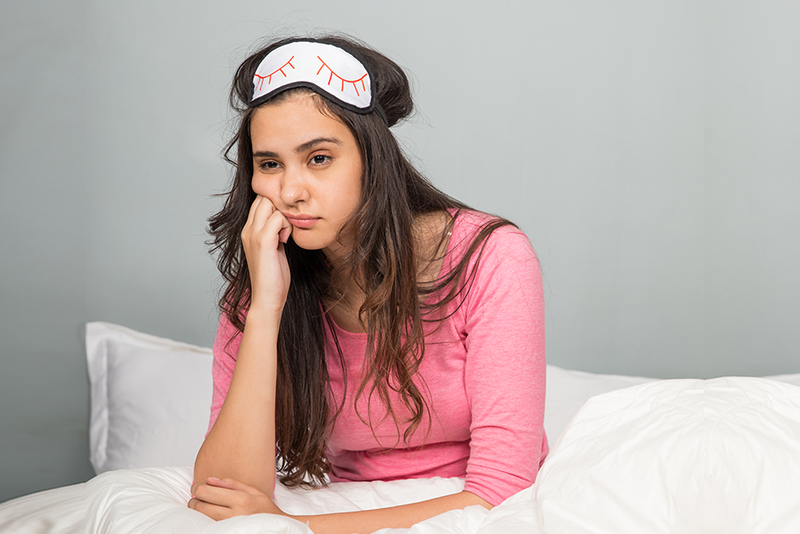 In short, staying up without sleep can affect one’s health negatively. One may think, a night out with friends is not a biggie, it will do no harm. But how wrong can one be? After loss of sleep for a day, you will be less attentive. It will be hard to multitask. And you will be more emotional and will not be able to concentrate. The first obvious symptom will be a headache or a migraine. By now your immune system is also affected making you susceptible to other illnesses. One may also start hallucinating. Also, the stressed-out body starts showing other symptoms like increased heart rate and increased blood pressure. You may start taking micro-sleep for a few seconds and followed by disorientation. Your hallucinations might increase. Your sensory organs get affected adversely. Your body may start experiencing pains and aches. Needless to say with all the previous symptoms that have set in, you are at an increased risk of a health breakdown. However, there maybe a few people out there who may think that “I can catch up on sleep the next day!” Consider yourself warned! Although you may feel rested by the end of your sleepathon, you have disturbed your body clock and sleep cycle. And you might take a day or more to get back into your regular sleep cycle. Sleep to the body is like oil for the engine. Just as you ensure regular oiling of your machine engine for good performance, you need to ensure regular sleep at regular timings, for your body to perform well.